Since we are recycling the wood pallet from a long time, so we have developed a potential association with the shipping wood pallets. Wherever I see these wooden objects I must notice them and look them closely whether they can make a good creation or not. In simple we don’t look at the shipping pallets as the others do, but we see them from a different perspective. 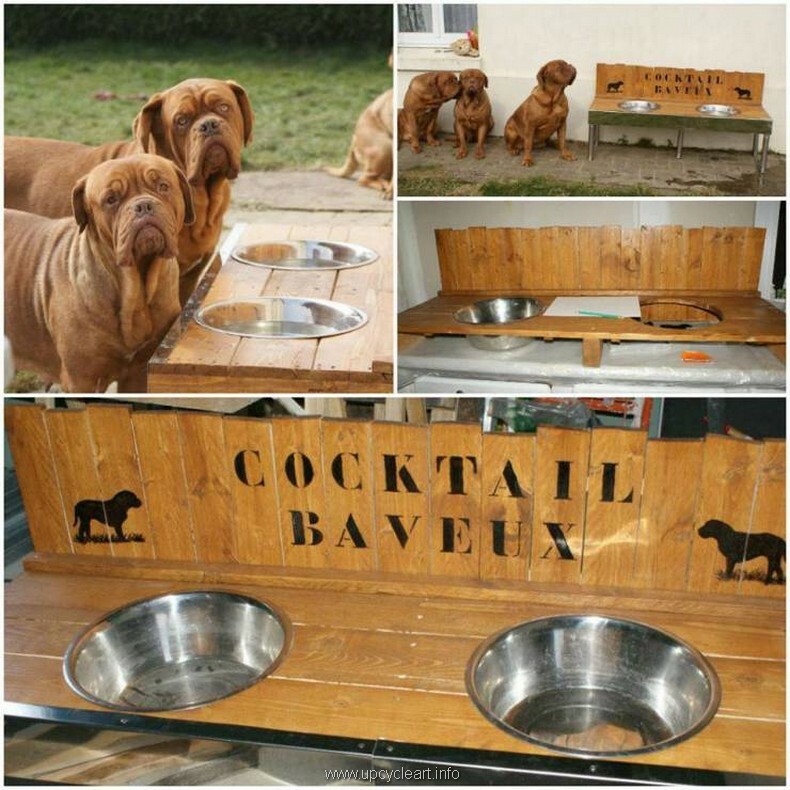 These wooden objects could be cut, molded and shaped in various forms like some furniture items, some décor art crafts. Here we are presenting some ways in which the shipping pallets could be repurposed. 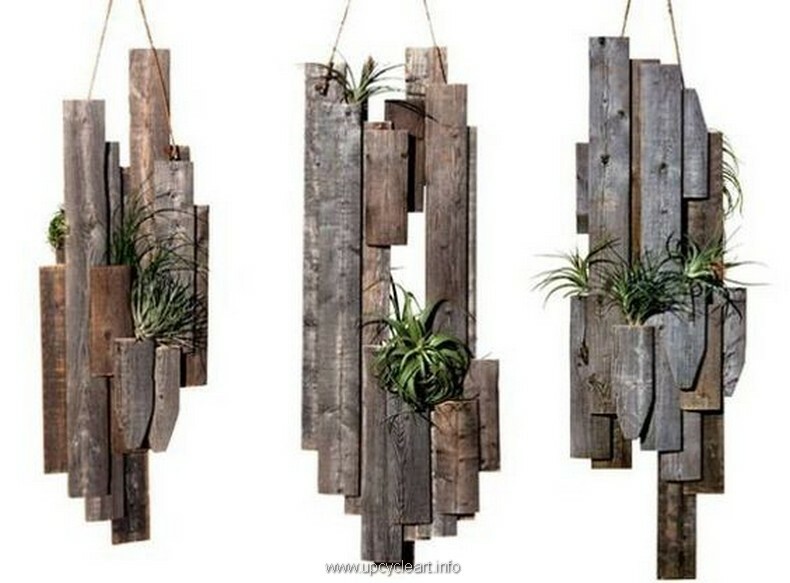 What do you see here made with the wood pallet? Well, all of you might have a some different perceptions about this beautiful creation, this is basically a planter that is carrying a green leafy plant that is complimenting immensely to the interior of the room. 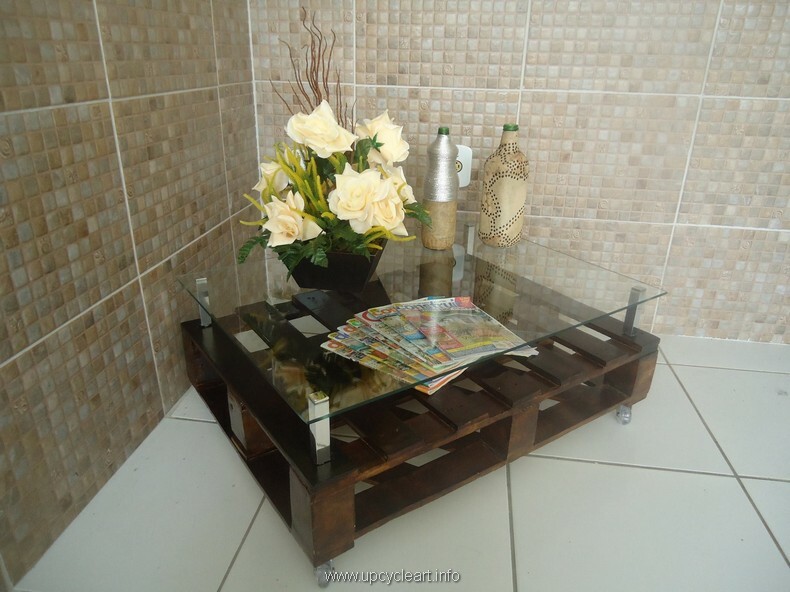 And this is a simple wooden pallet repurposed side table. Although the basic frame and design is one of the simplest tables that we normally make, but one thing is pretty different and noticeable here. The way we have joined the shipping pallet wood planks is different, usually we use them from the other angle. And now what about this media cabinet made with some of the finest shipping pallets and also some wooden fruit crates? 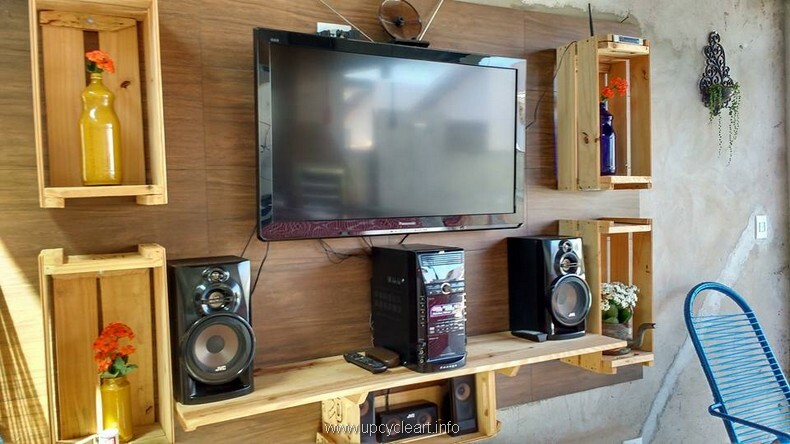 It is a complete and comprehensive project where we have provided each and every segment that is important for this media cabinet, plus these tiny cabins are meant for the decoration pieces. While this isolated area is all left for the kids and their playing activities. 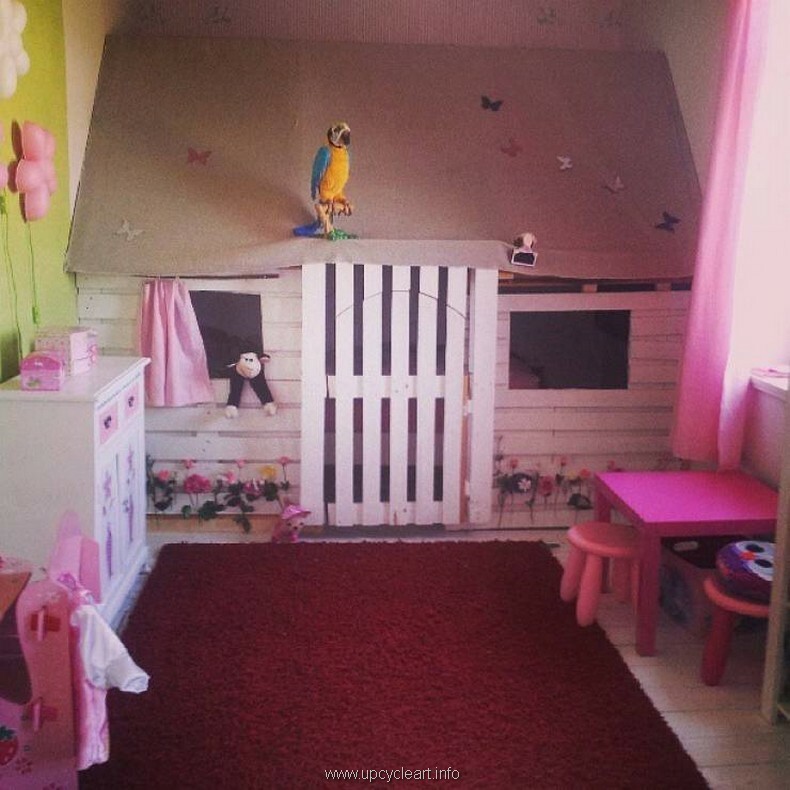 I know the adults get really annoyed and angry when the kids play and make noises, that’s why we have separated this area and dedicated it for the kids. And this is a one of the most stylish wood pallet upcycled coffee tales that we have ever made. 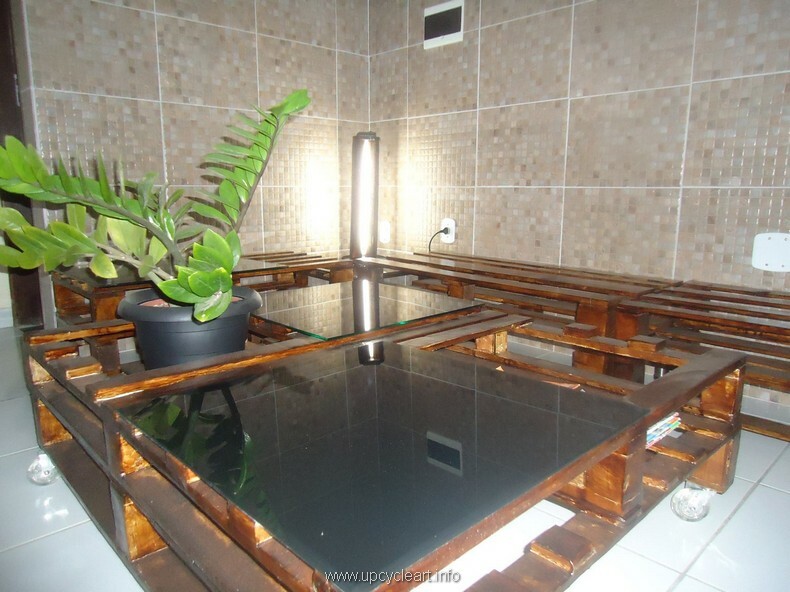 Like it has got a very impressive pattern on the top, the table top is divided into multiple portions and some of those portions are covered with black glass, and the rest of the frame is stained with bright white color. How much you are in love with your pets? Well, to demonstrate this you really have to be some extra caring for them. Do something that is exceptional and exclusive, really want to do something like that? 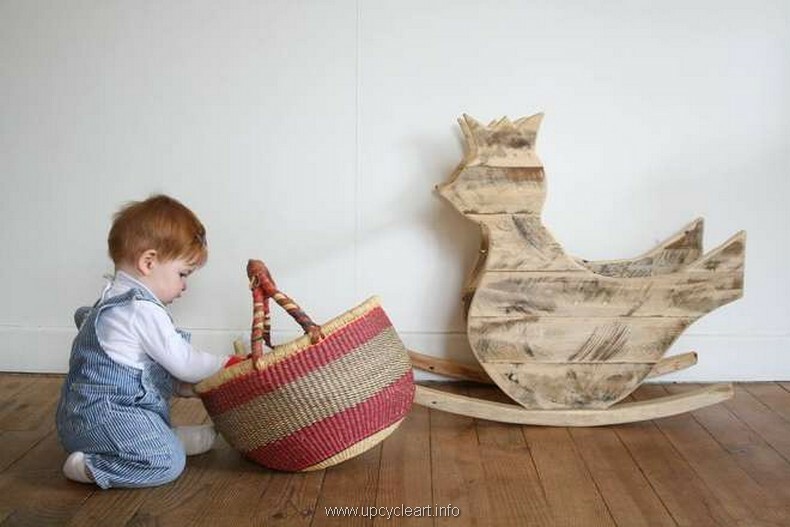 Just bring them this recycled wood pallet kids food container. 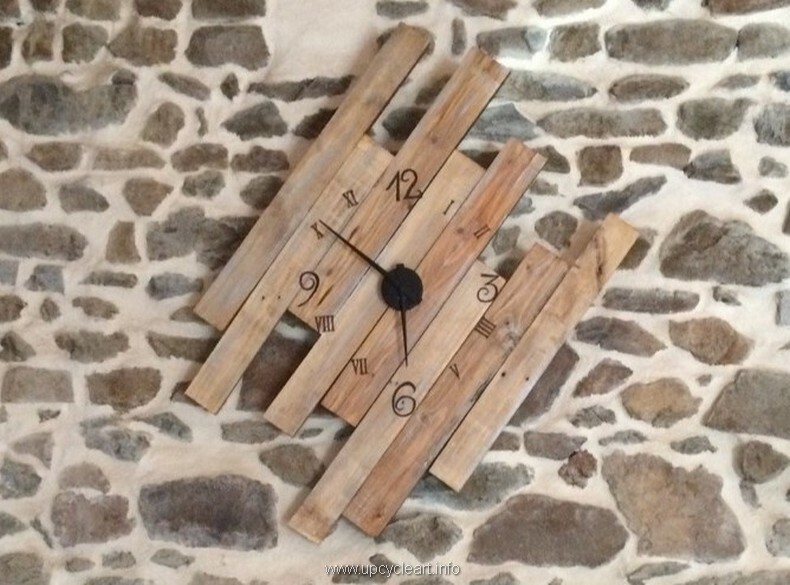 This kind of pallet wood repurposed wall clocks are normally fake just for the decoration purpose, though they also be made properly functional too but for that you would require some extra skill. As far as this frame of the clock is concerned, this is something that could be done in minutes with the wood pallet. 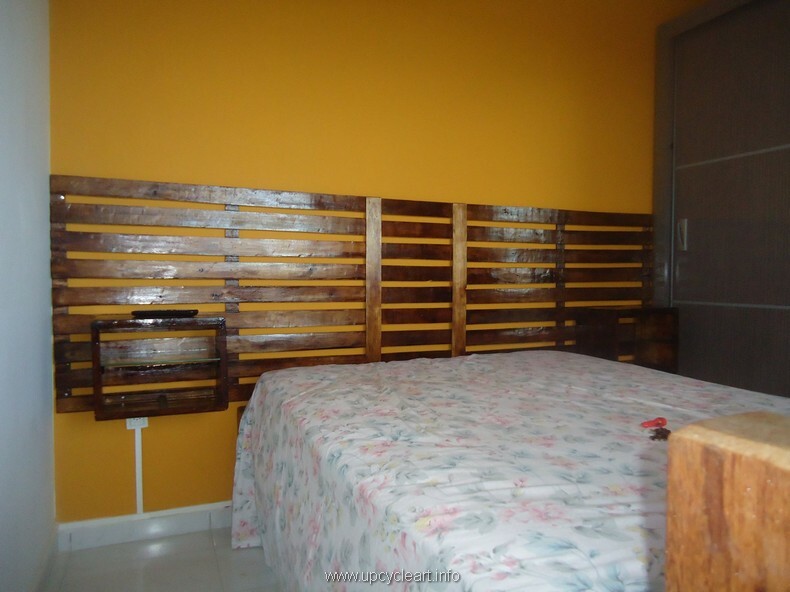 If we ponder upon the basic design of this room bed, we find that there’s something special in the headboard of the room bed. It is tall, long, and very stylish as well at the same time. 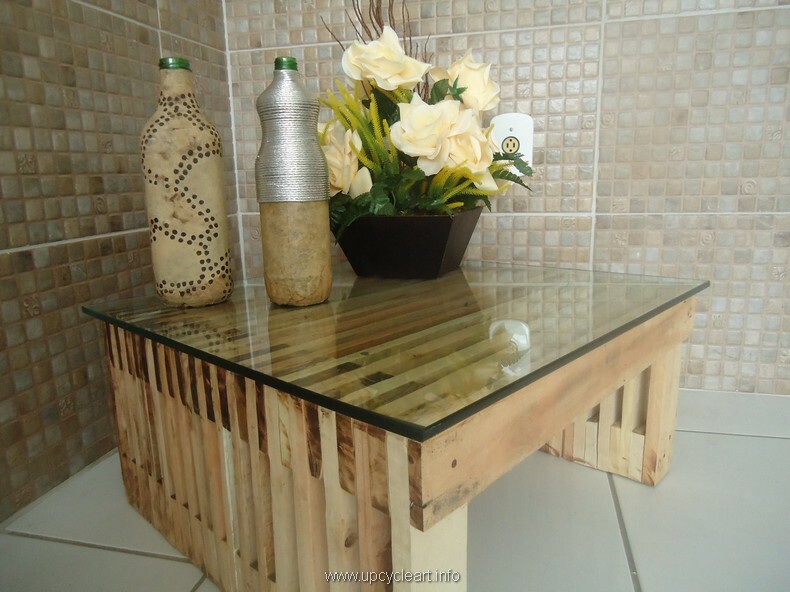 And here we come across a very stylish pallet wood made coffee table. 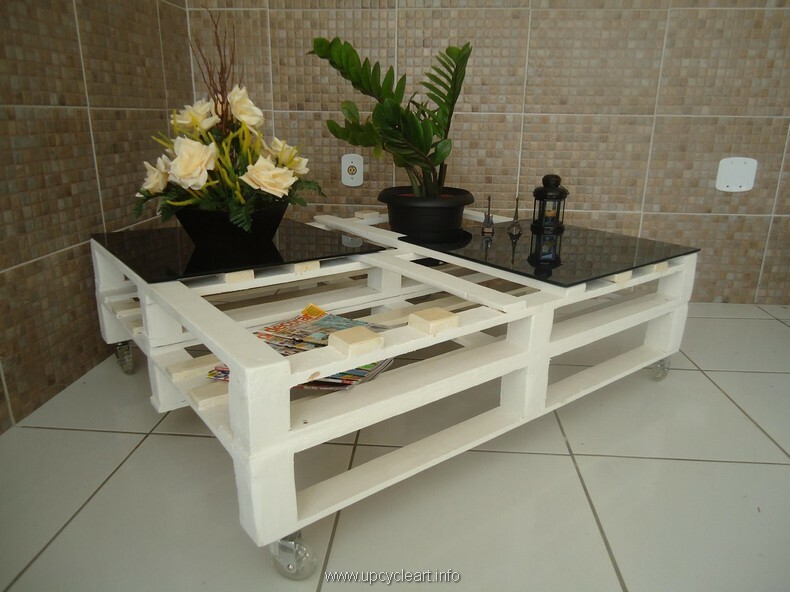 Well, this could be called a perfect wood pallet creation as it is equipped with all those features that could make it look perfect pallet wooden creation. The glass top, awesome design, wheels on the base all of that is incredible. 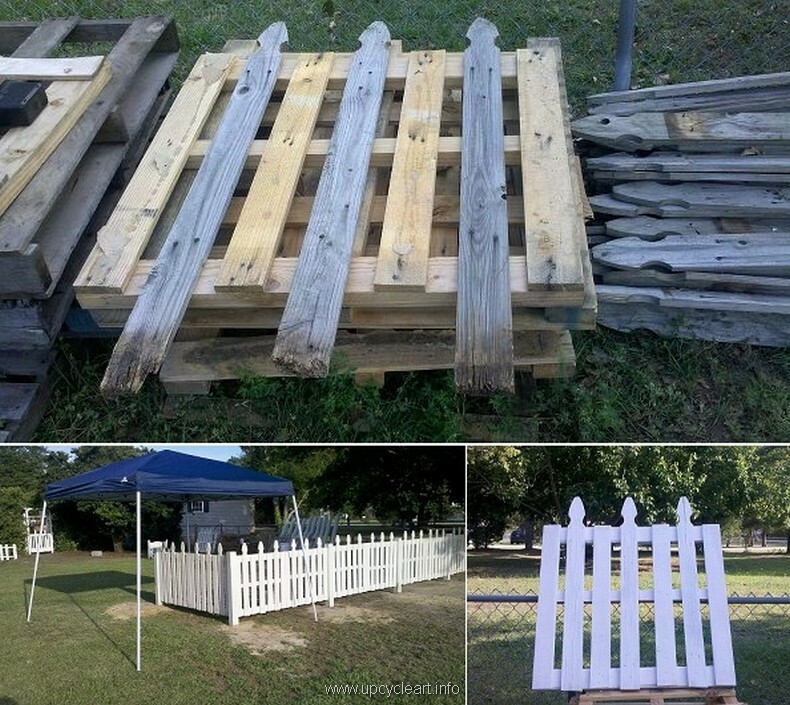 I know most of you are confused that what exactly this wood pallet creation is all about? 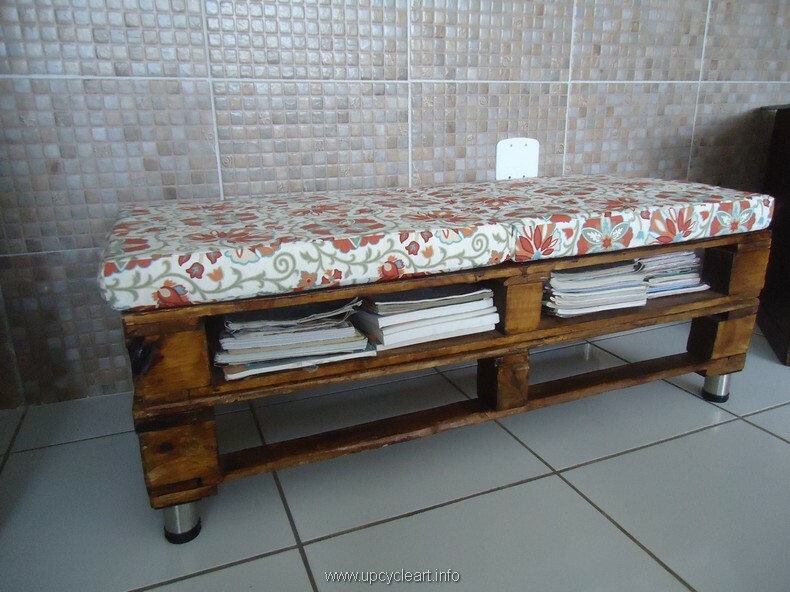 Is this a table, if yes then why on earth it is having a mattress on the top, and if it is a bench them why it has got this built in space where some books are stuffed inside? 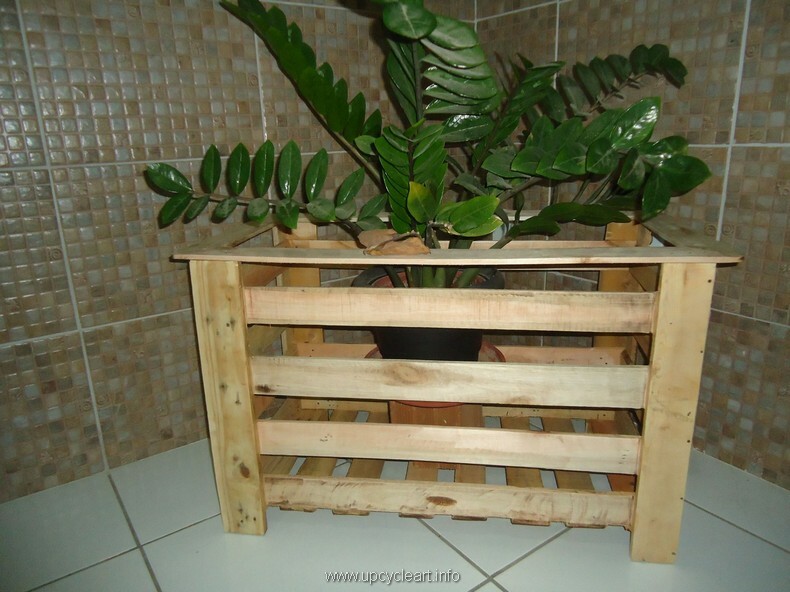 And here we see one of the best pallet wood planter that is equally good for indoor and outdoor as well. The design of this planter is so smart and attractive that it could also be placed as a pure decorative piece in the main entrance or in the balcony of the house. 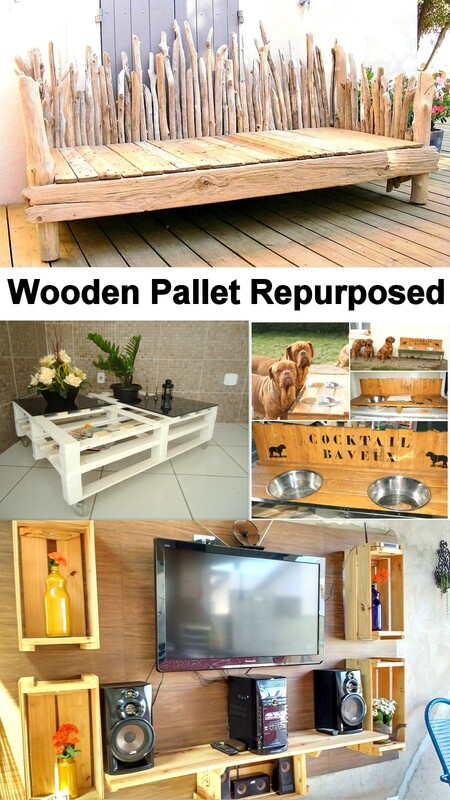 Again we have brought a very smart pallet wood repurposed coffee table idea that we have already tried. There we had stained it with bright white shade while here we have given it the typical brown shade that is normally used for the wooden products. Just look at this huge and wide pallet wood patio or garden cabin. This is just like a proper house man, like it has got so much space that a whole lot of stuff could be placed here. It could be turned into a domestic workshop or even a whole vehicle could be parked in here. Here we have shown you one single unit of the whole fencing line that we have planned for the entire area. We are going to stain each railing unit with this bright shade to make it look more fascinating, and also some designing is done on the top. 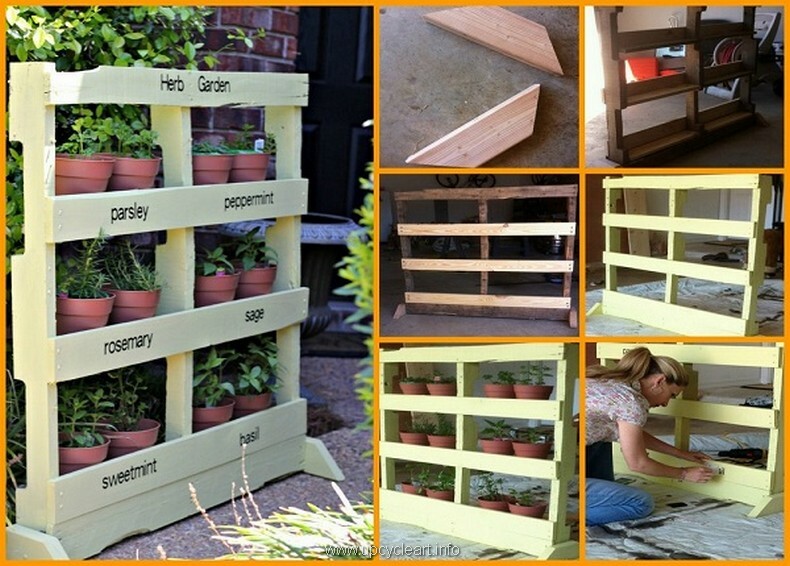 Look at this keen lady, how much she is lost in her wood pallet project where she is up with a very fantastic wooden pallet planter that is vertical in shape. This shows the keen interest of the people in these projects which is rising with every passing day. 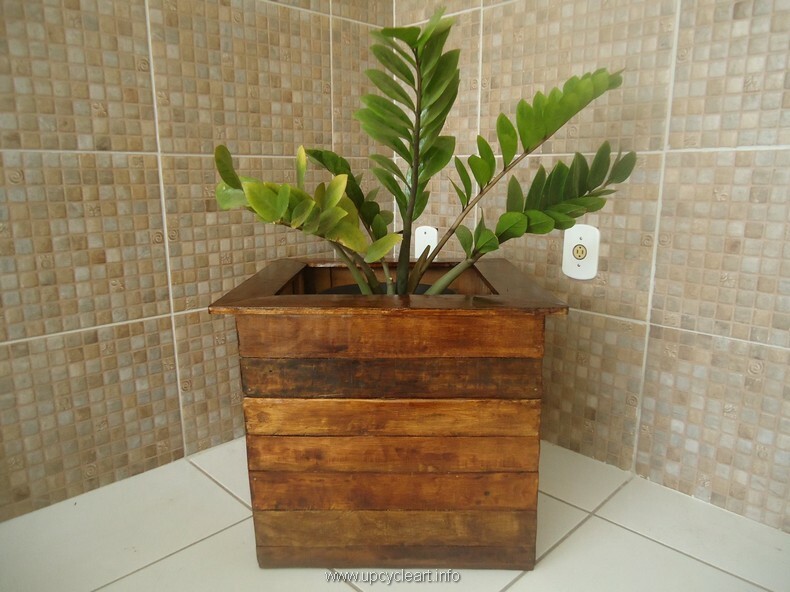 And this vintage pallet wood planter I guess was made with the leftovers like the timber that was left behind when some other pallet wood made item was created. This leftover material was given a shape of the vintage pallet wood wall planter. Sculptures are also very liked by the kids, they become familiar and friends with these cute caricatures, here we have made this kids toy which is basically kids swing that would keep them rolling and moving. Even the infants or very small kids would enjoy the ride on it. And finally this wild and crazy pallet wood made couch that was made with the shipping wood pallet and some other natural wooden debarked pieces that were grabbed from the downtown. 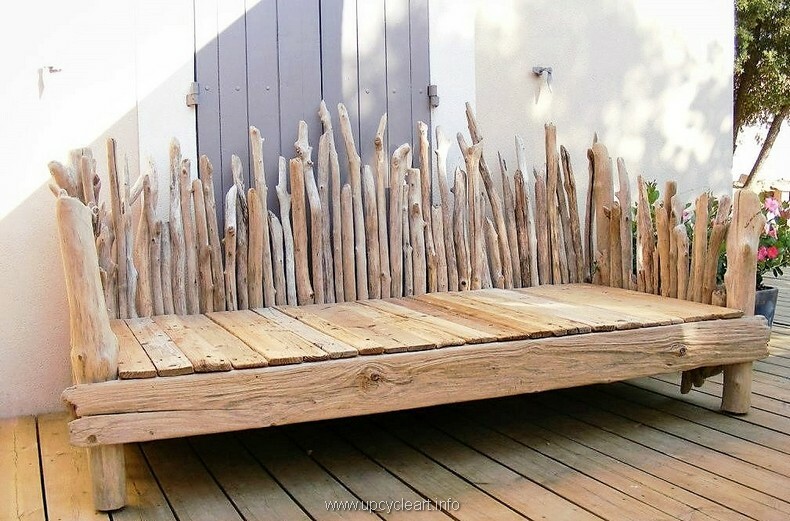 Simply we have used here any wooden piece that was in our possession, that’s why we have come up with something so strange and crazy yet so attractive.